A new building product from the US promises to provide a sustainable way to stop flooding, replenish groundwater and reduce the urban heat island effect in our cities. 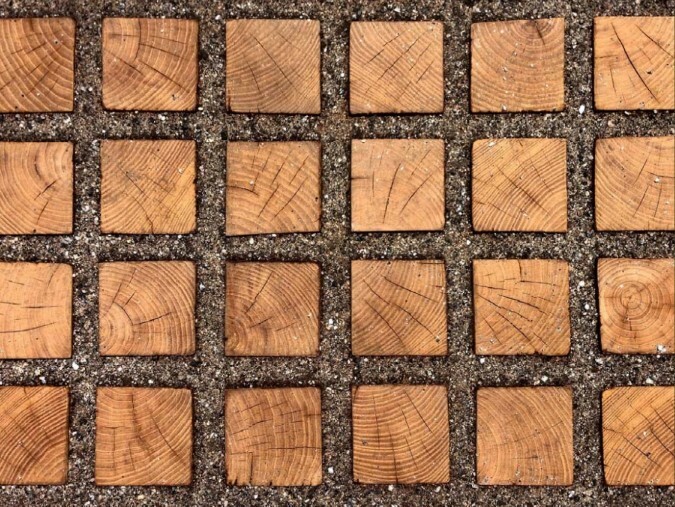 Robinia Permeable Pavers are a carbon-neutral timber permeable paver made from cubes of the highly durable and rot-resistant Black Locust tree, supported by a stainless-steel mesh base. The Black Locust, which is native to eastern US but grown widely in southern and eastern Australia, has 50-year rot-resistance with no chemical treatment, is slip resistant, and naturally permeable. The manufacturer of Robinia, BLL USA has just released a new Roofline Model, specifically tailored for green roof applications, which is being spruiked as a new way to reduce the amount of heat absorbed by a building, thus ameliorating the urban heat island effect of a city. According to BLL, the manufacturing process of Robinia Pavers provides a 90 per cent reduction of CO2 emission compared to traditional concrete permeable pavers, without sacrificing any of the benefits pegged to the technology like reduced flooding and water pollution, and increased ground water replenishment. They also take advantage of the Black Locust trees’ ability to capture fugitive carbon and sequester into durable carbon-neutral products. Like a concrete turfblock, the paver joints can be filled with plants to further reduce the heat absorbed by building’s surface. The Roofline Model contains 100 per cent recyclable stainless steel and exceeds the strength of traditional concrete permeable pavers.